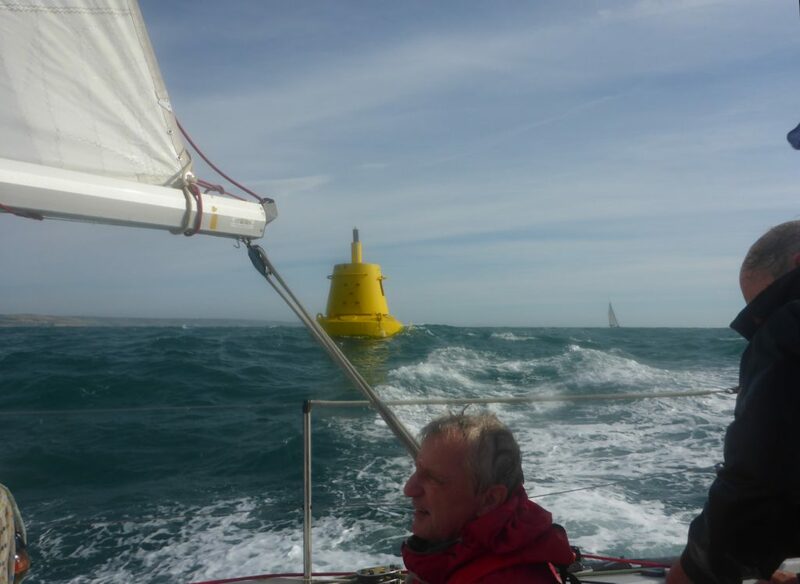 Crews had to wake early in order to make a 0900hrs start at the Swash start line on Saturday. 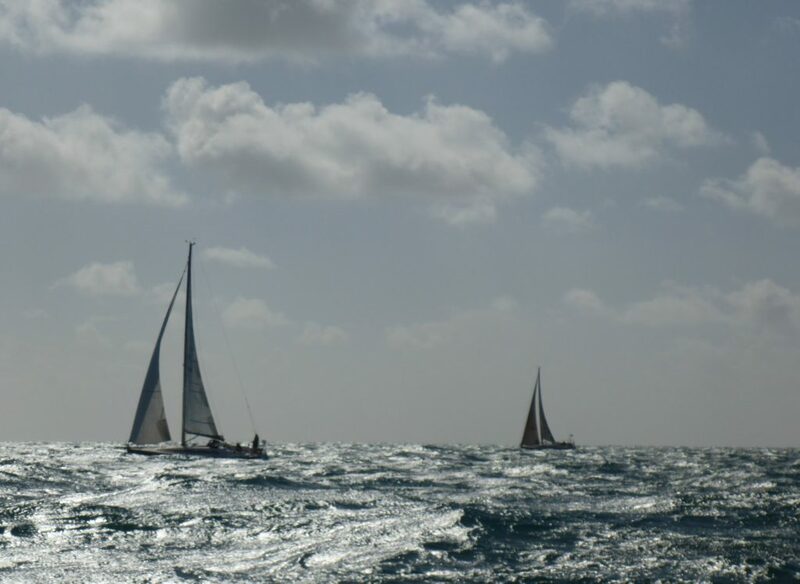 We were greeted with wind over tide up the Swash, a fresh to strong southerly breeze and an ebb making it hard work to reach the start line. 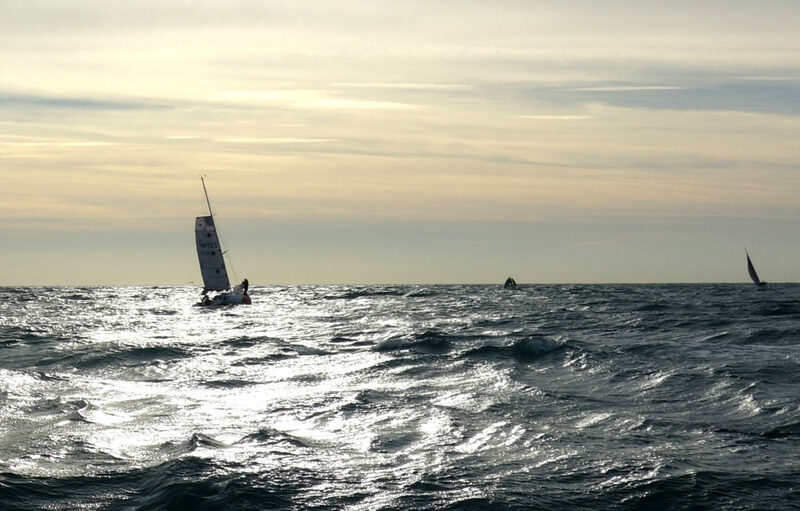 Although 25 boats entered, the final count was 18. 12 in class I, 2 in class 2, 3 in class 3, 1 in class 4 and none in class 5. 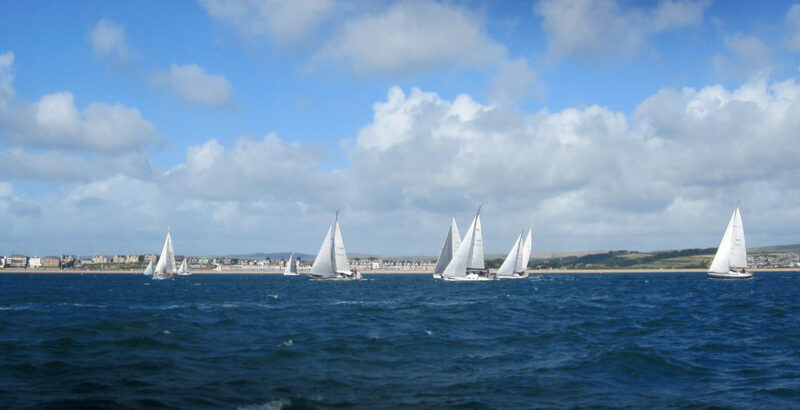 All classes got off on time and sailed the same course, Swash start line, DZB, Arish Mel, Weymouth finish line. 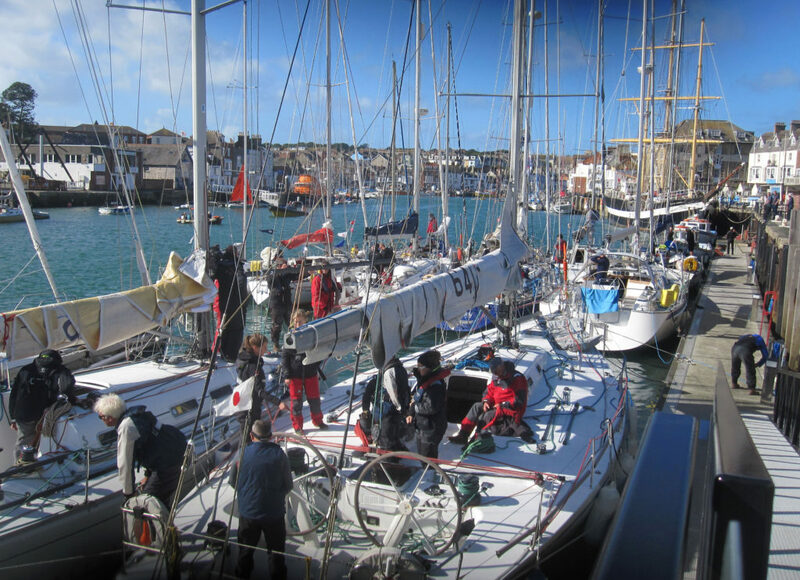 Before reaching Durlston Head ‘Fraid S’eau in class 3 and Quadrophenia in class 2 retired and returned home. 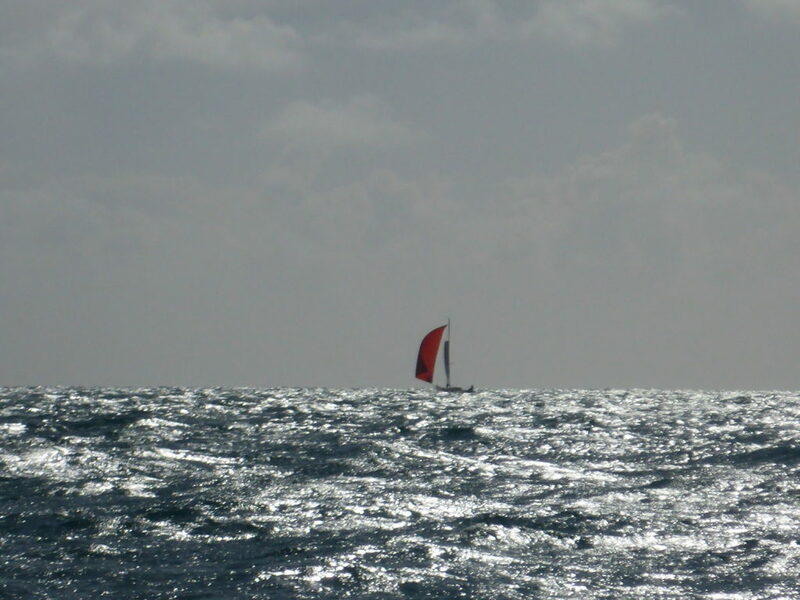 It was a hard beat to Durlston Head and then a long close hauled leg to DZB in a noticeable swell. On Matchmaker there was some debate as to which buoy was DZB at St Albans ledge. As our plotter and charts were all below there was no enthusiasm to go below and work it out! We decided there was a good chance that the class I boats who were now ahead of us would sail the right course! It was a relief to reach DZB and free off. 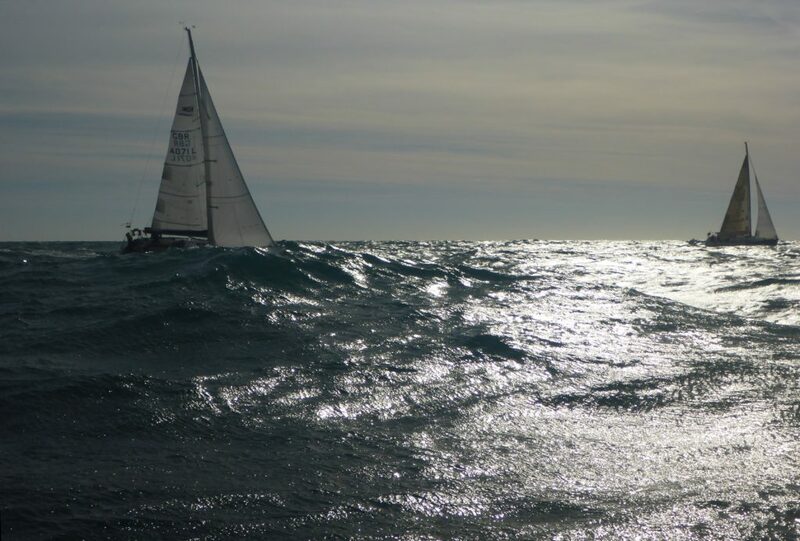 Shed of Arjuna, a 6 .5 m long Pogo 2, sailing in class I and being sailed single-handed by Rod Harris, was seen well behind and obviously not enjoying the hard beat. 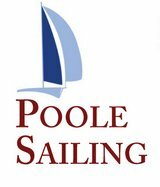 Crews enjoyed the hospitality of Poole Sailing who provided a drink for everybody and numerous bottles of wine for the winners of the various classes who were: – class I Flair IV, class 2 Matchmaker II, class 3 Shebeen, class 4 Ceres, and a special prize for Rod Harris on Shed of Arjuna for perseverance. Many of the crews then enjoyed a curry at the local tandoori restaurant. Thankfully the forecast rain held off until well into the night. Dawn broke windy but bright. It was a late departure with a start at 1140 enabling all to enjoy breakfast at a leisurely pace. 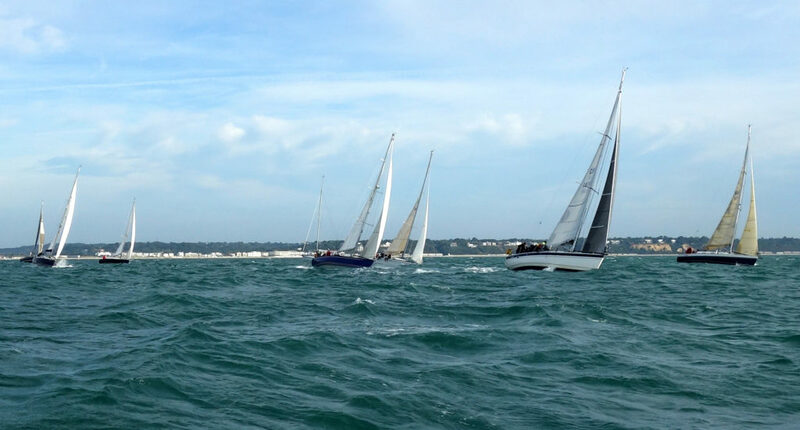 Hope and Glory was the start boat and chose to give us a gate start, with a short beat towards Weymouth, and then a run all the way to Durlston Head, and then onto the Poole finish line. 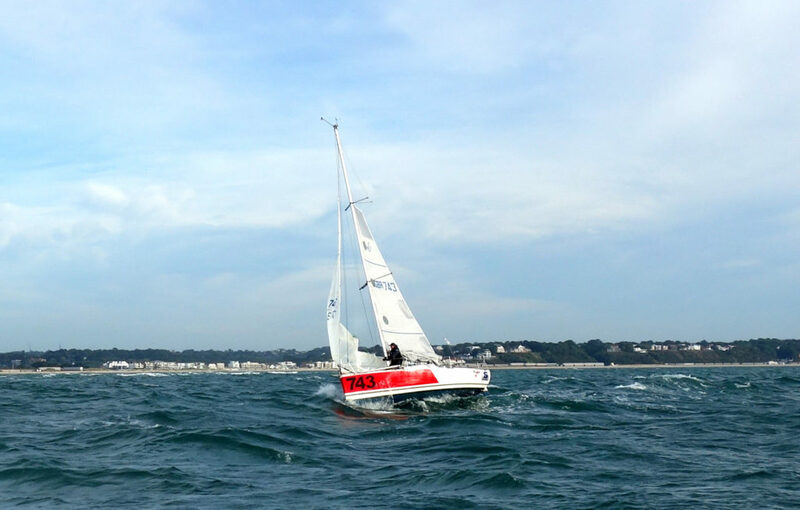 The wind was blowing force 5 to 6 from the West and once round the windward mark very few ventured to fly spinnakers, most poled out their foresails. In class I one large blue symmetrical spinnaker and one asymmetric spinnaker were spotted, and then right at the back was a small red asymmetric spinnaker above a well reefed main of Shed of Arjuna! But then she was took off and reeled in boat after boat. Reportedly her maximum speed was 17.8 kn, and I assume that that was through the water. 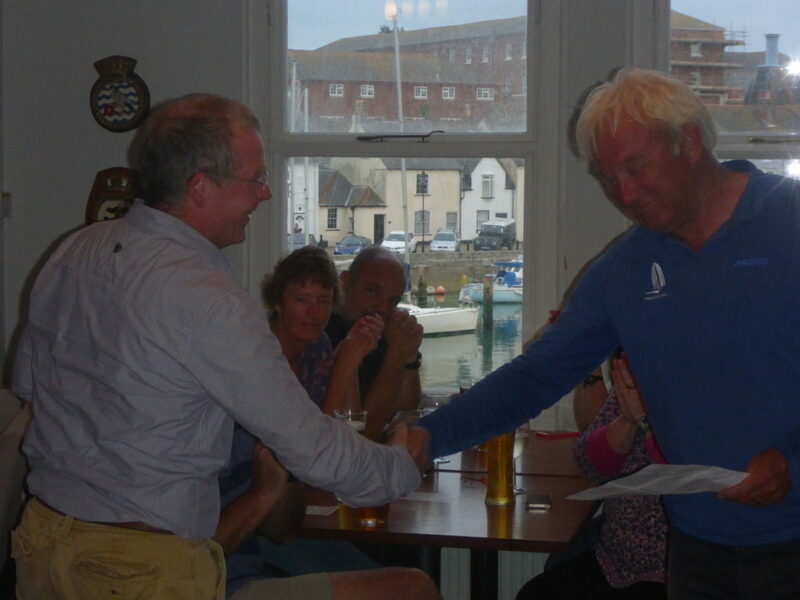 All in all a good weekend’s sailing and a fitting end to the season.